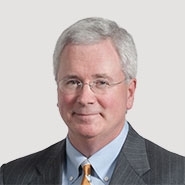 At the conclusion of the recent ABA Business Law Section Annual Meeting in Chicago, Bill Johnston was appointed Vice-Chair of the ABA Business Law Section. In addition, Mr. Johnston participated as a panelist in a CLE program entitled, "Avoiding Discovery and Trial Practice Disasters - Tales from the Bench and the Trenches." Other panelists included two practitioners, one general counsel of a public corporation, and two business court judges.